UltraFlora Balance provides a blend of B. lactis Bi-07 and L. acidophilus NCFM, which supports normal gastrointestinal function. UltraFlora Balance is recommended for people supporting normal immune function. 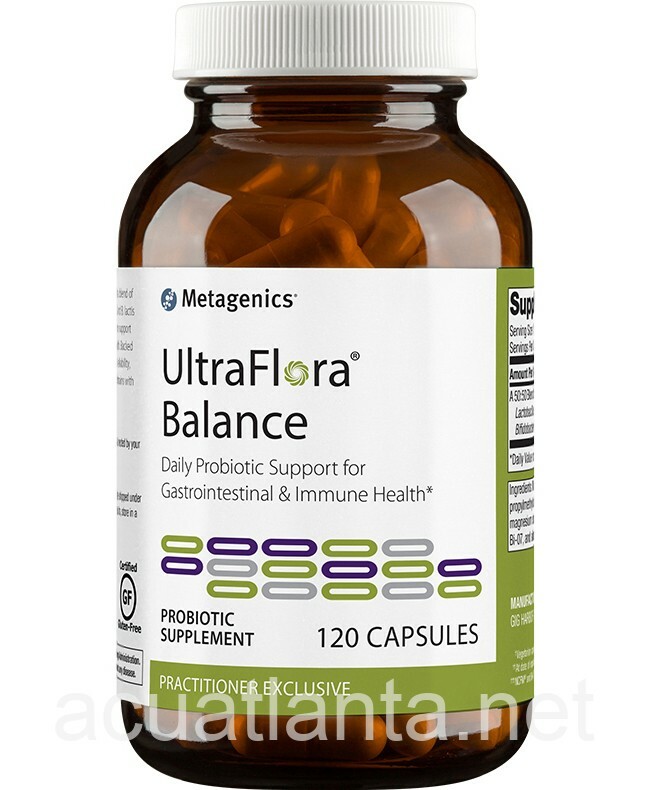 UltraFlora Balance is part of Metagenics Gastrointestinal Health product line. 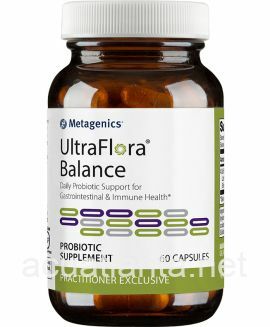 UltraFlora Balance provides a powerful probiotic blend of B. lactis Bi-07 and L. acidophilus NCFM with a non-dairy base in capsule form. The NCFM strain is the most widely studied strain of Lactobacillus acidophilus with numerous research publications, including clinical trials for a number of bothersome GI symptoms. 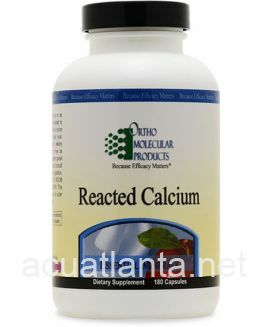 NCFM and Bi-07 together supports normal gastrointestinal function and normal immune function. 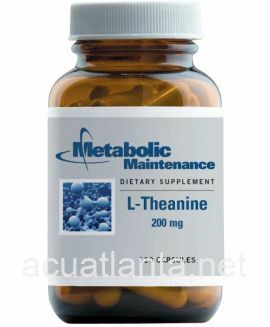 This formula also supports a normal balance of intestinal flora, and may facilitate the digestion of lactose. Ingredients: A 50:50 blend of: 15 billion live organisms, Lactobacillus acidophilus NCFM, Bifidobacterium lactis Bi-07. 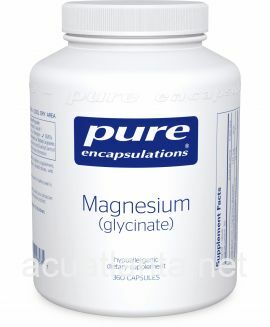 Other ingredients: Microcrystalline cellulose, capsule (hydroxypropylmethylcellulose), Lactobacillus acidophilus, Bifidobacterium lactis, magnesium stearate (vegetable), and silica. UltraFlora Balance product is available only from licensed healthcare professionals. Buy UltraFlora Balance Online here at AcuAtlanta.net or our clinic. 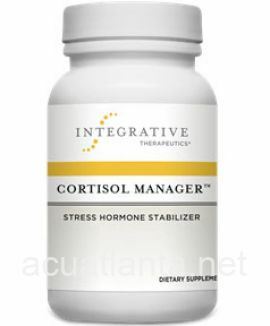 I like the purity of this product and the health benefits of a high grade supplement. 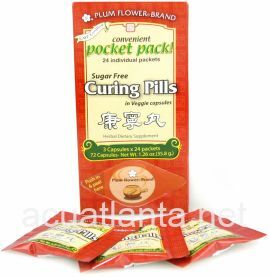 This is the second time I've ordered the Ultra Flora from Acupunture Atlanta. While I was thrilled the first time I purchased it because of the great care put into the packaging (it was cold-packed to ensure that the bacteria did not die), the same care was not included this time. My package was delivered on an extremely hot day, and there was no cold packing involved. It was just in a simple bubble pack. I am using the product but doubting that it is having the intended effect, since this product is supposed to be refrigerated. Very disappointing! 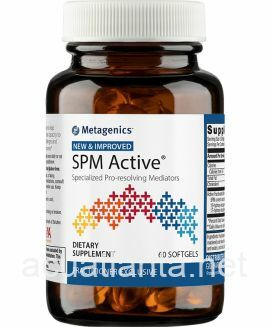 Customer who purchased UltraFlora Balance 120 capsules online also bought the following products which may be of interest to you.